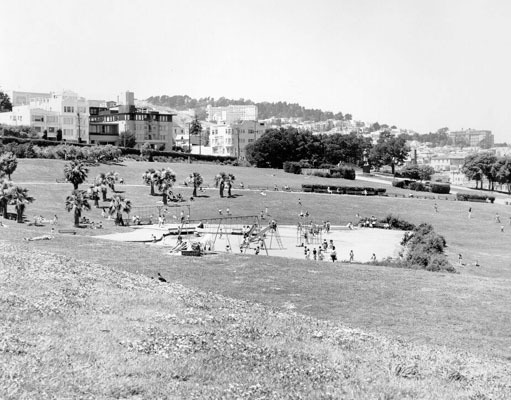 Title [Dolores Park - Dolores & 20th St] [graphic]. Location Folder: S.F. Parks-Dolores Park. Reproduction Rights Permission to use this image must be obtained from the San Francisco History Center, San Francisco Public Library. www.sfpl.org/permissions. Notes Photo by Alan J. Canterbury. Subject Parks -- Dolores Park.